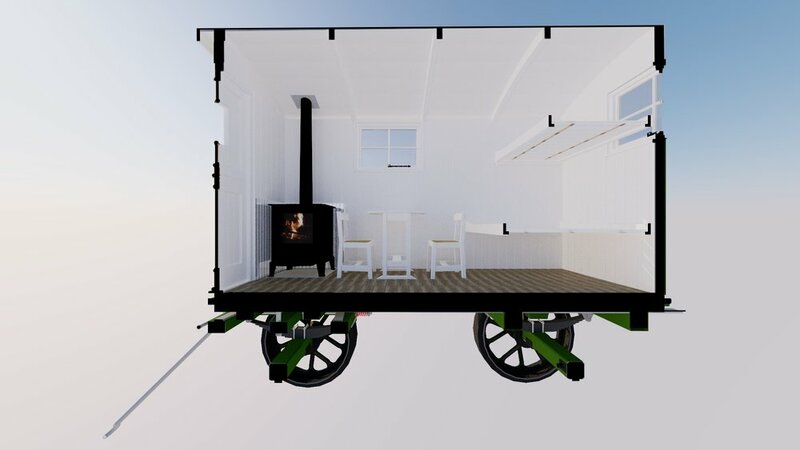 My dad and I both have a large interest in all things steam powered, and with him being a carpenter looking for his next big project, we both came to the same conclusion - we could build a living van. Such "vans" were essentially wooden framed covered trailers, often with a couple of small windows and a log burning stove. They were towed behind traction engines providing much needed accomodation, as they travelled from farm to farm to work the land. Some were also towed behind steam rollers used by county councils to repair roads. 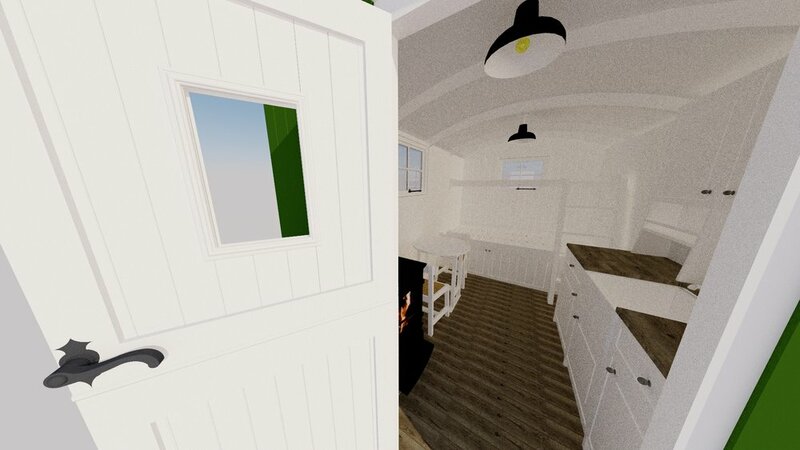 I should say, we originally started with the idea of building a Shepherd's Hut, but we wanted to try and keep it as traditional as possible - and as such huts were traditionally tiny, not like the spacious ones you see on the market today. A lack of headroom would have been a problem today, but not when these were originally built - being used only as sleeping accomodation at night. Hence why todays shepherd huts are significantly larger. The woodwork is pretty complex in places, but as my Dad is a carpenter, only the finest quality will do! The underframe will be particularly challenging, but all the metalwork can be produced at a specialist foundry, so that is one less thing to worry about. Almost all joints in the wooden frame will be mortice and tenon, as such vans were originally constructed. There will however be a modern twist to the hut - required to bring it into a higher level of comfort. 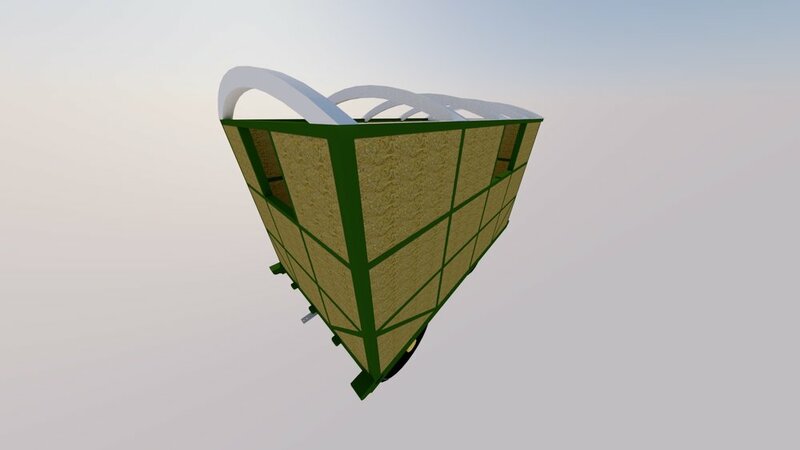 One such improvement upon the original is to introduce modern insulation materials into the walls and a breather membrane to help keep wind and damp out. The living van will also be equipped with lighting, either through shore power, or through solar panels. This will detract somewhat from the traditional look, especially if located on the roof, but I feel it's a more acceptable compromise than making a Shepherd's hut much bigger than is traditional. Finishing off the interior is the bunk bed at the back of the living van. In this case I've gone for a queen bed on the bottom, and a single on top. A window is located high enough so that both beds can still access natural light, yet still maintain privacy. Under the queen bed are 3 storage areas, the two larger ones are access from the living space, the smaller one only accessible from the outside - this one would likely be used to store the batteries and such like. Originally, such 'cubby holes' would have been used to store coal for the traction engines. This is the first design, so things are likely to change and evolve as time progresses, but it gives a good idea of what we're looking to achieve. I might come back and design a few more variants if we take this project further. A variant with a small bathroom would also be preferable, or perhaps even a standalone outside toilet block would be just as fine. Burrel Wagon Chassis - Josh M.
Folding Table - Danny S.
Door (minus lock/handle) - Iain M.
Window Latches - Phill H.